Xander won Green Star, CACIB went BOB again in Clumbers with lovely verbal critique from the judge. 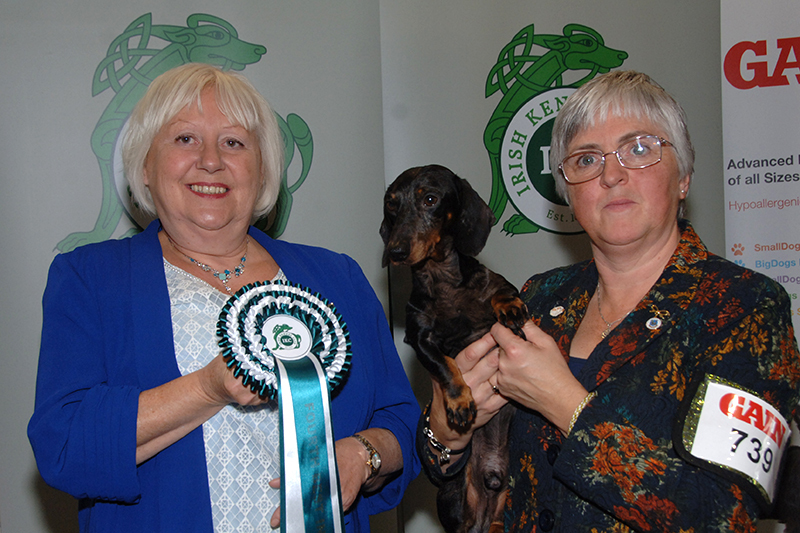 In Dachshunds we did the double with Dave and Ginger taking the Green stars and CACIBs. Dave took Best of Breed and later then won the Group under judge Zeferino de Silva from Portugal.